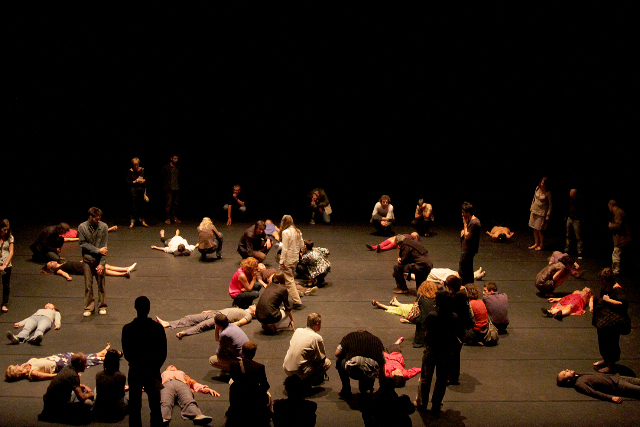 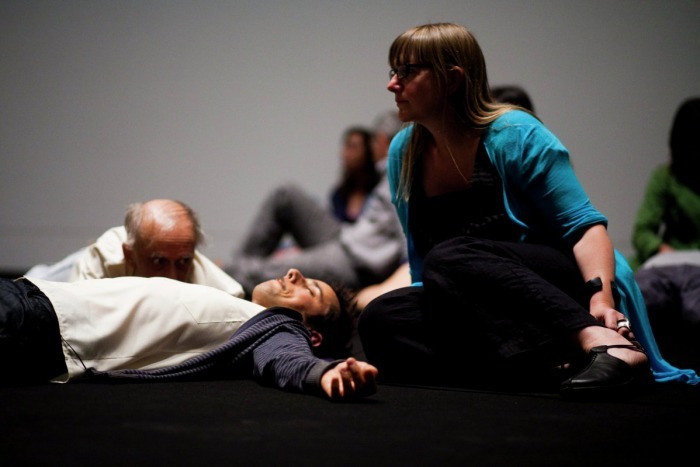 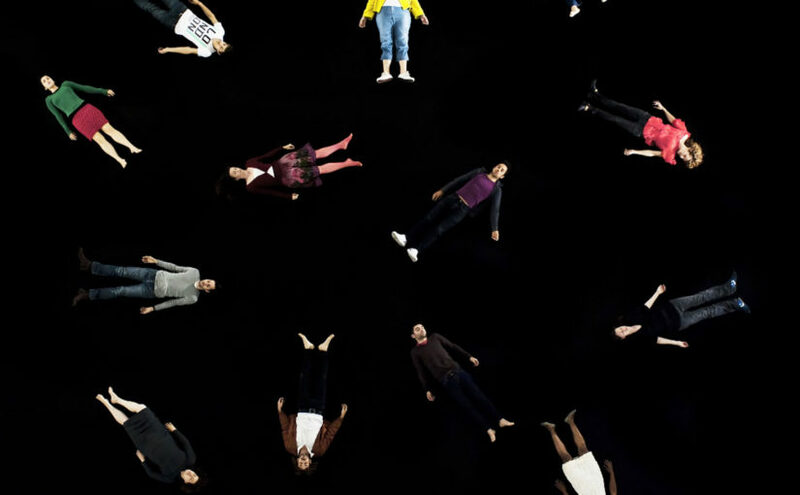 World of Interiors is a performance-installation with people lying on the floor, eyes closed, rather motionless. The 15 performers are whispering the angry and poetic words of the playwright Rodrigo Garcia. 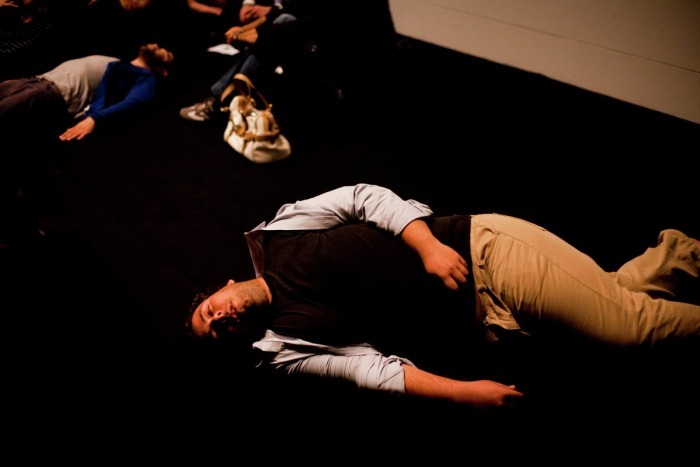 The audience has to approach the performers bodies to understand what they are saying. 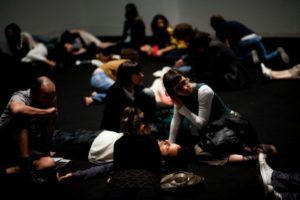 World of Interiors explores the border / relationship between spectators and the piece; it seeks to integrate the audience into the time and space of the performance and to identify the tensions between art and the codes that govern society. 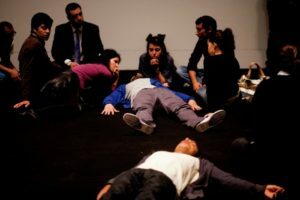 In this installation / performance, the spectator can enter and leave the performance space at will. 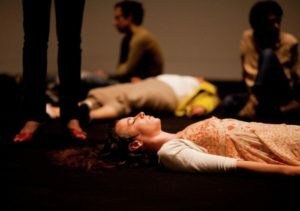 He or she has the liberty to define how long to remain inside, whether to stay with one performer or move on to another one. 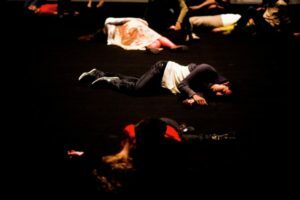 Each performer has a different collage of texts to say. 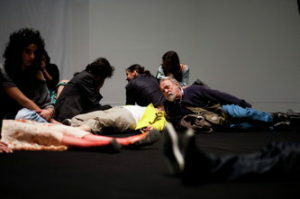 There is a score for the texts. They are part of a collective partition, with moments of silences, chorus and cannons. World of Interiors emerges out of Ana Borralho and João Galante’s unique parcours in the world of performing arts. Over the years the two artists have developed their research into a consistent and mature body of work; always hybrid, it traverses the boundaries of visual and performing arts.